Delicacy and charm – these are the features of a graceful plant. 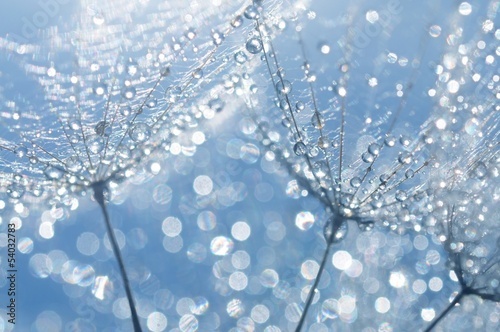 Beautiful dandelions bathed in dew drops – that’s not a common view. The photo wallpaper with such a theme will be a perfect addition to the living room. Thanks to the lightness of colours and harmonious theme, the interior will gain a touch of freshness and delicacy.